Offering you a complete choice of products which include stainless steel sheets, stainless steel sheets 304, stainless steel perforated sheets and perforated sheets. We are leading importers/s and suppliers of Stainless Steel Sheets. We are also authorised dealers jss jindal stainless steel. We have huge stocking yard in kalombolli. 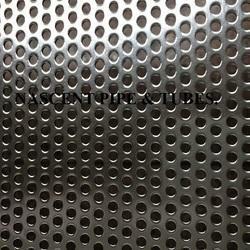 We are well known for quality supplier of stainless steel sheets 304 . We always aim to provide high quality stainless steel sheet 304 at most competitive price. 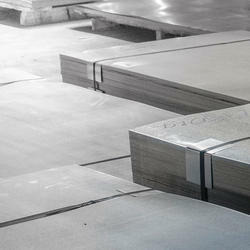 We offer different grades in stainless steel sheets. We are the leading suppliers in the market for offering Stainless Steel Perforated Sheets in a wide range to our clients.This products manufactured,supplied export by us is renowned for its reliability, durability and optimum performance. These are offered in various shapes and sizes based on the customer's requirement. Leading Manufacturer and Exporter from Mumbai, our product range includes Industrial Sheets such as S.S.Perforated Sheet, Perforated Sheet and M.S Perforation Sheet. We are among the celebrated names in the industry for manufacturing and exporting Perforated Sheet, which is remarkable in durability and made from high quality stainless steel. 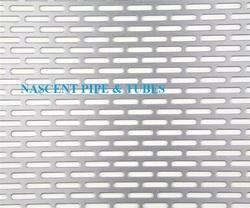 It is used in filters of combustion engines in automobiles, ventilation of food grain depot and insulation of rooms from sound. The product is resistant towards corrosion and rusting and can be customized for meeting with the requirements of the customers.